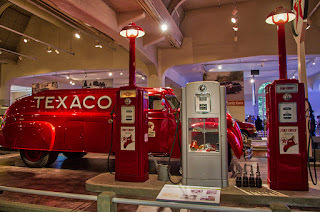 This is an older image from the Henry Ford Museum in Dearborn Michigan. I have so much to share from there if I want because that place was just filled with very neat displays of all kinds of steam engines and transportation and just Americana type items. 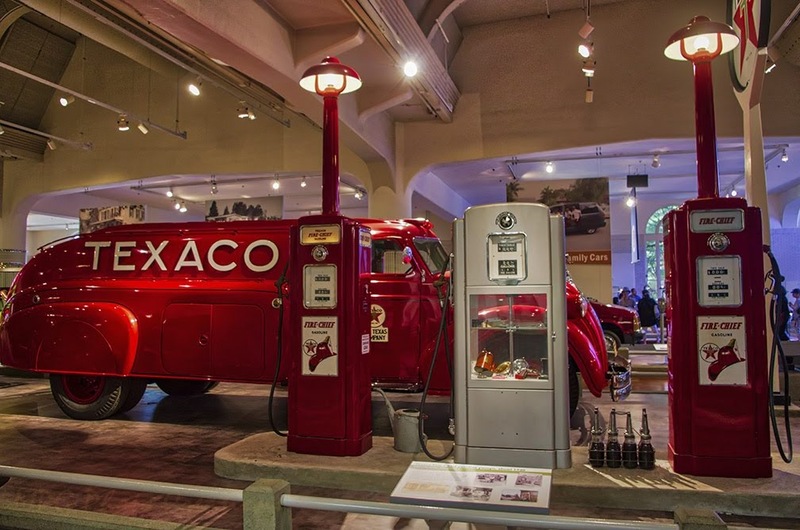 I love old gas pumps and thought this display was very neat with the sleek gas truck in it as well.